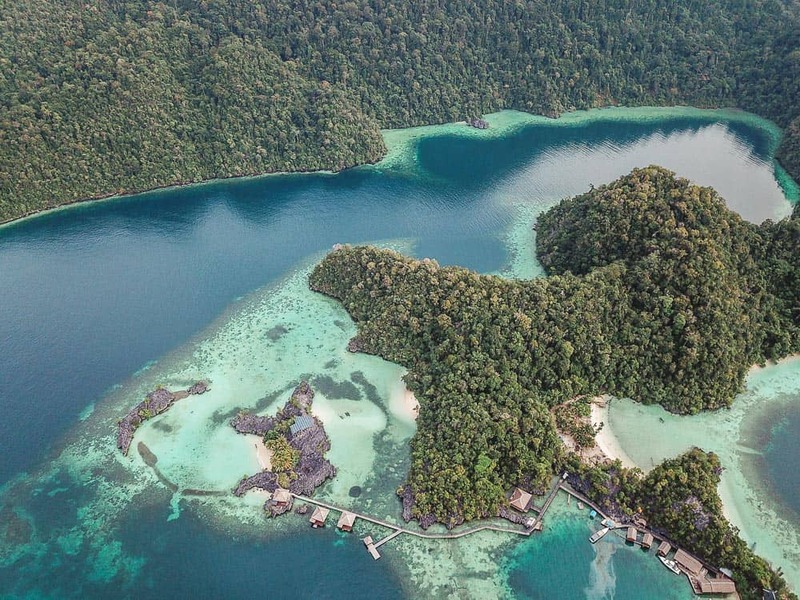 Pulau Labengki is an island paradise that is one of Indonesia’s most best-kept secrets. I consider myself one of the lucky few to have had the chance to explore Labengki Island before it becomes another popular tourist destination in Indonesia. 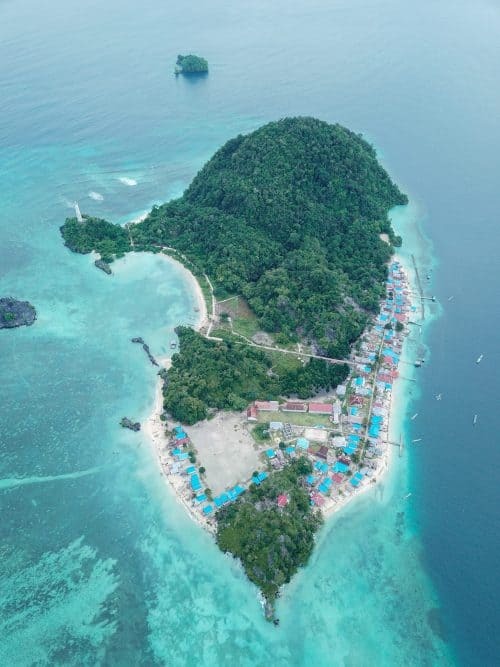 Pulau Labengki is an island located off the Southeast coast of Sulawesi in Indonesia. From the mainland, it is approximately a 2-hour boat trip to Labengki Island. The most efficient way to travel to Pulau Labengki is to fly to Kendari Airport, which is the nearest city to Labengki Island in Southeast Sulawesi. Most flights will fly to Makasar in West Sulawesi and here you will have to transfer flights and fly to Kendari in Southeast Sulawesi. The flight from Makasar to Kendari is 50 minutes. When you arrive Kendari Airport, a taxi will cost 100,000 Rupiah ($10) for a 30-minute ride into the city. 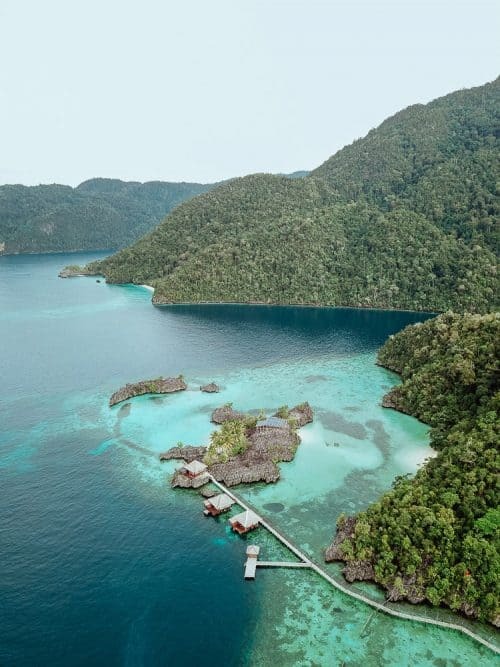 From Kendari City you will have to take a car to the boat harbour that takes 1 hour and then a boat to Labengki Island which takes approximately 2 hours depending on sea conditions. 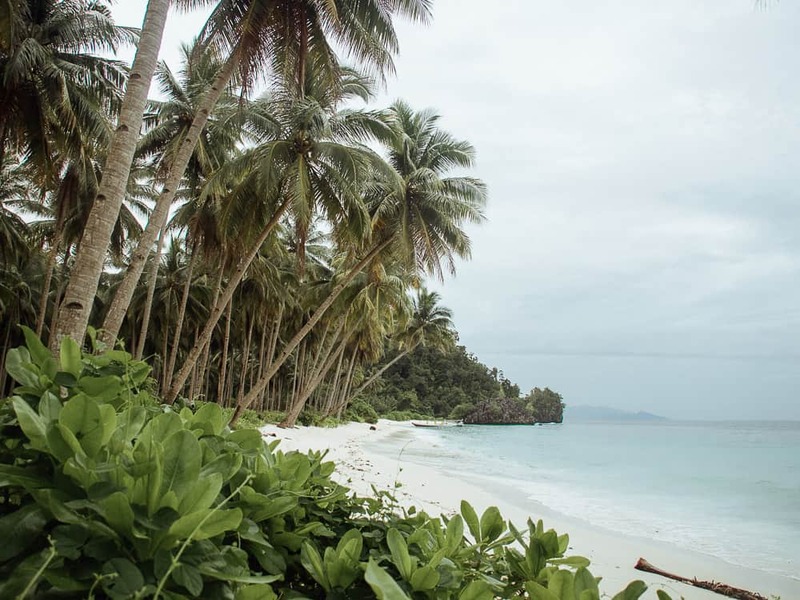 This region of Southeast Sulawesi is still very much undiscovered and there is next to no tourism, which means at this point there are limited options to book a tour to Labengki Island. After hours of research, I managed to find a local travel company called Fun Adventure that was able to organise a trip for 3 days and 2 nights to Pulau Labengki and Sombori Islands. I contacted the tour company via Whatsapp one week prior to my trip to Sulawesi to organise and confirm everything. 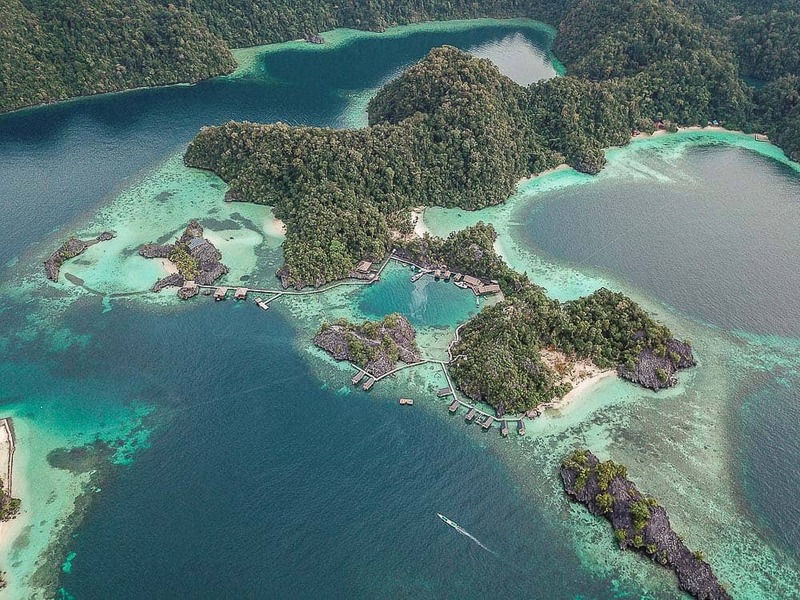 Their Whatsapp number is +62 821 3989 9009 and they are very quick to respond when you message to inquire about booking a tour to Pulau Labengki. Alternatively, you can book a tour through their website by clicking HERE. 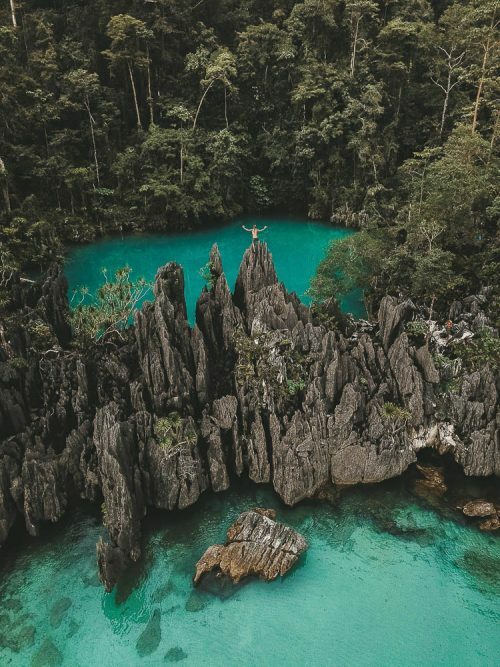 The cost of the tour was 4,000,000 Rupiah ($400) which includes transport to and from Kendari to Labengki Island, 2 nights accommodation in a small homestay on Little Labengki Island, a 3-day island hopping itinerary including a day trip to Sombori Island, 3 meals per day (rice, noodles, fish) and drinking water. 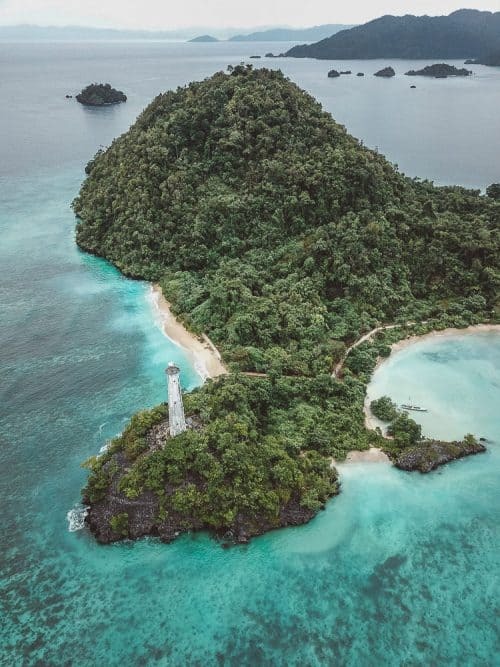 On the tour, the following locations you will get to visit on Pulau Labengki and Little Labengki Island are the Goa Cave Swimming Pool, Blue Lagoon, Pasir Panjang Beach, Kimaboe Hill + Teluk Cinta (view of a love heart shaped lagoon) and The Lighthouse. 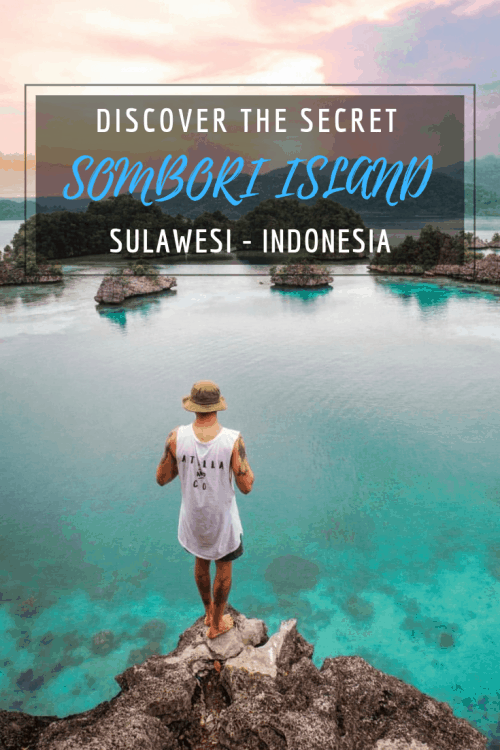 The day trip to Sombori Island includes the Sombori Island Lagoons ( Grandma’s House), Sombori Hill + Kayangan Peak (viewpoint similar to Raja Ampat) Berlian Cave and Mbokkita Island. To see the full blog post of Sombori Islands you can check it out over HERE. Located in the centre of Little Labengki Island is the Goa Cave Swimming Pool. Rainwater drips into a limestone cave that is filled with stalactite rock formations. 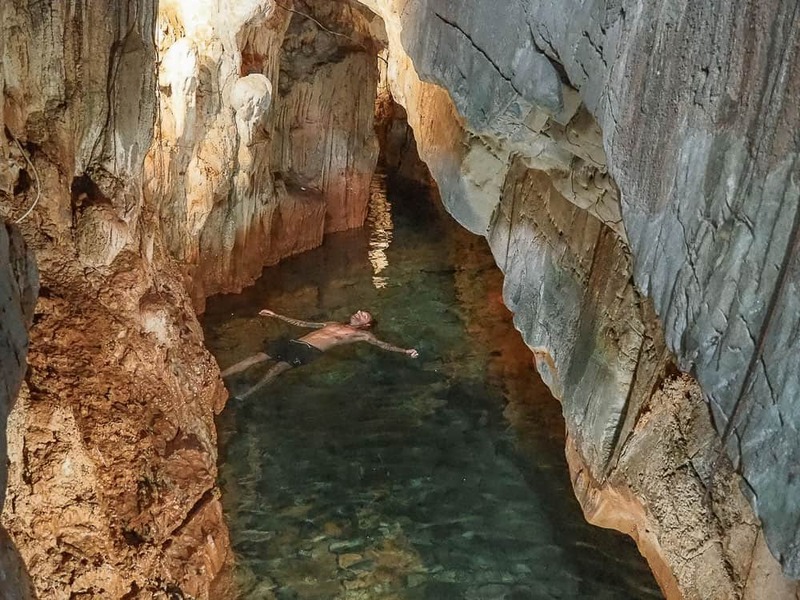 This rainwater has created a crystal clear and fresh mineral water swimming pool inside the cave. On the southern side of Little Labengki Island is an old rundown lighthouse that sits perched high on a small cliff. There is a rickety spiral staircase inside that you can climb to the top at your own risk. 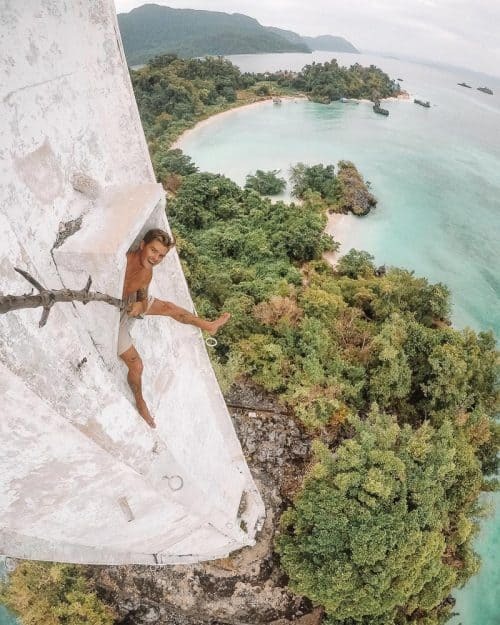 Gasp in awe at the amazing panoramic views of Little Labengki Island from the top of the Lighthouse. Across the channel from Little Labengki Island is Pulau Labengki Basar, meaning Big Labengki Island. The boat will take you across to the Blue Lagoon which is hidden behind a very sharp rock formation at the end of one of the bays. Make sure you have a pair of closed in shoes to climb the sharps rocks up and over into the lagoon. 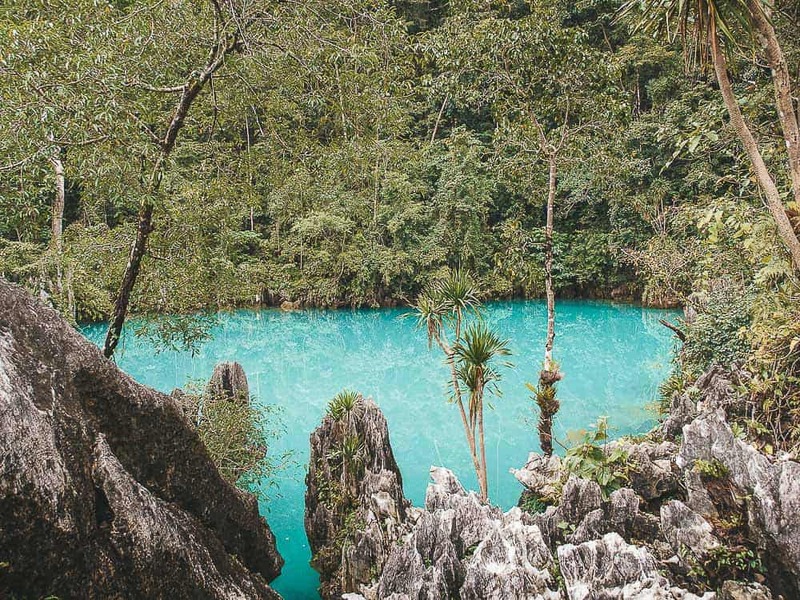 The water inside the lagoon is fluorescent blue and there are a few spots to do some cliff jumping! Approximately 10 minutes by boat from Blue Lagoon you can find the Kimaboe Hill & Teluk Cinta Viewpoint on Pulau Labengki. From the top of Kimaboe Hill, there are incredible views overlooking a bay of islands, bamboo bridge structures and over water cottages. If you have a drone, you can fly it from the top of Kimaboe Hill and capture the Teluk Cinta bay which is in the shape of a love heart from a birds-eye perspective. A deserted white sand beach lined with coconut palms and crystal blue water is the description that best describes Pasir Panjang Beach. I used to dream of places like this as a kid, and to be exploring a location such as this one with no one else around was a dream come true. 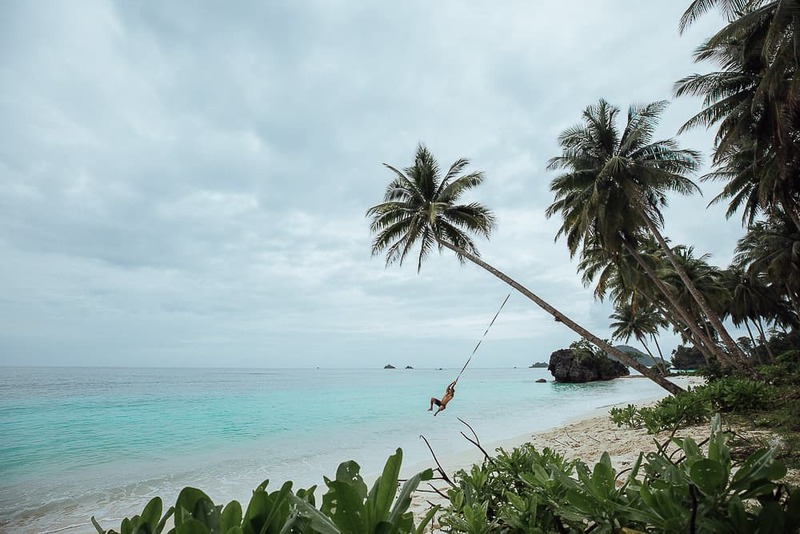 I made a rope swing on one of the bent palm trees and lost hours playing around on this beach as the day came to an end. 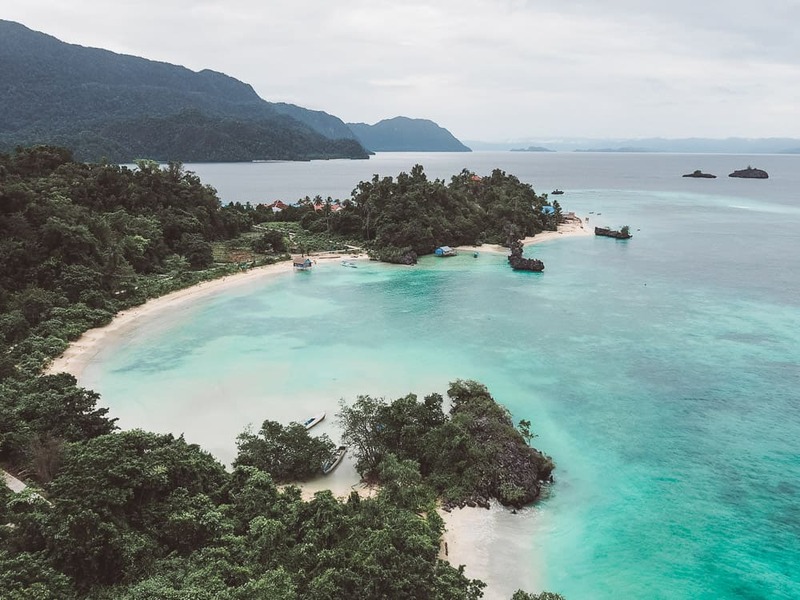 As Pulau Labengki is an up and coming destination in Indonesia there is very limited information about these islands, in fact, this article may be the first detailed blog post you will find that is written in English.